Any piece of code that has no tests is said to be legacy code, according to Michael Feathers. Therefore, one of the best ways to avoid creating legacy code is using test-driven development (TDD). Why Use TDD to Create a React.js Component? 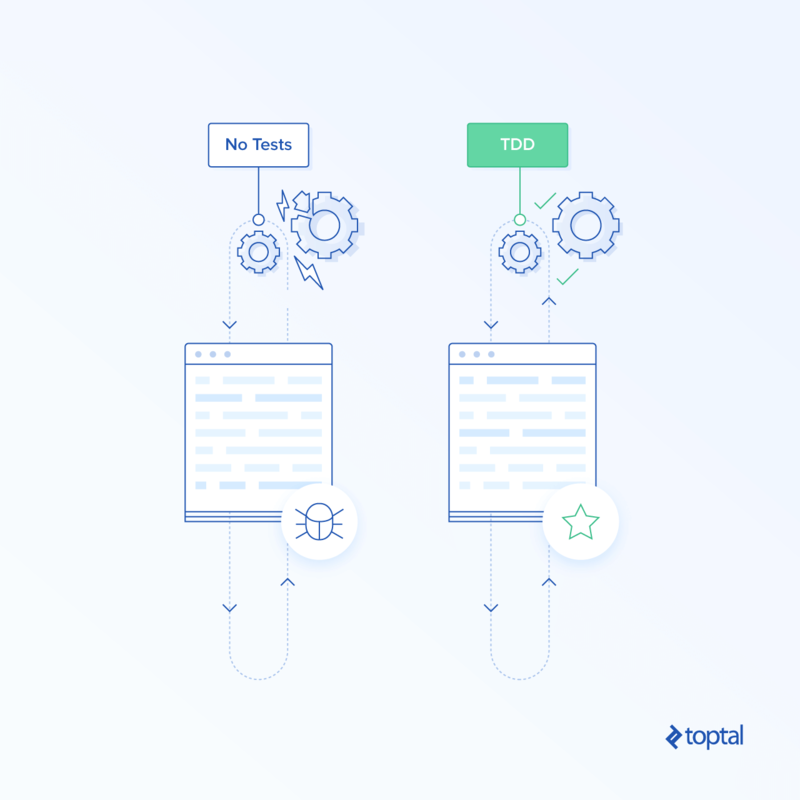 TDD brings many benefits to your code—one of the advantages of high test coverage is that it enables easy code refactoring while keeping your code clean and functional. If you have created a React.js component before, you’ve realized that code can grow really fast. It fills up with lots of complex conditions caused by statements related to state changes and service calls. Every component lacking unit tests has legacy code that becomes difficult to maintain. We could add unit tests after we create the production code. However, we may run the risk of overlooking some scenarios that should have been tested. 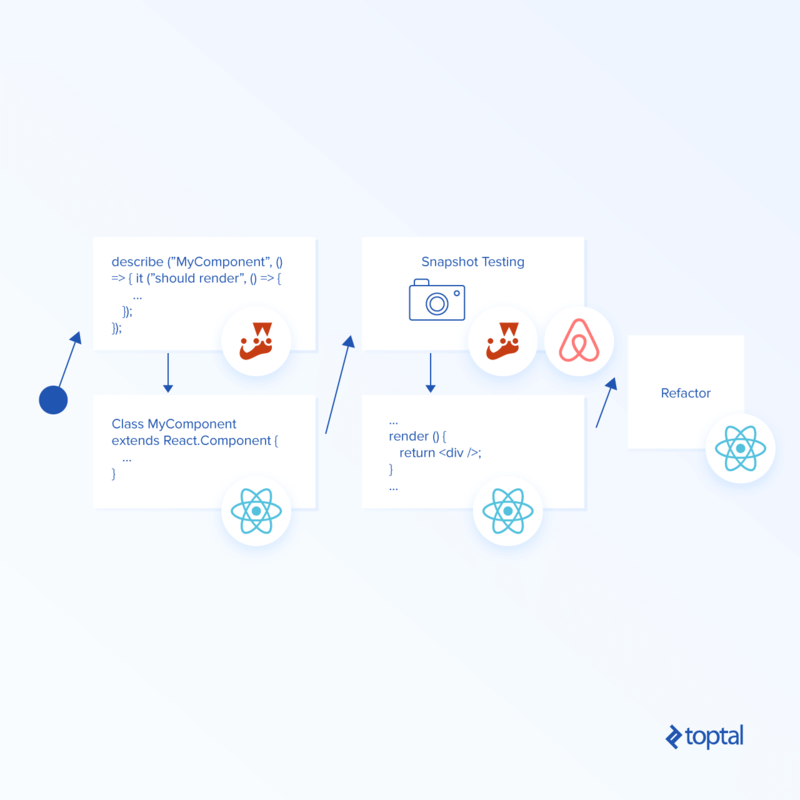 By creating tests first, we have a higher chance of covering every logic scenario in our component, which would make it easy to refactor and maintain. How Do We Unit Test a React.js Component? We can verify that a particular function in propswas called when certain a event is dispatched. We can also get the result of the render function given the current component’s state and match it to a predefined layout. We can even check if the number of the component’s children matches an expected quantity. In order to use these strategies, we are going to use two tools that come in handy to work with tests in React.js: Jest and Enzyme. Jest is an open-source test framework created by Facebook that has a great integration with React.js. It includes a command line tool for test execution similar to what Jasmine and Mocha offer. It also allows us to create mock functions with almost zero configuration and provides a really nice set of matchers that makes assertions easier to read. Enzyme provides a mechanism to mount and traverse React.js component trees. This will help us get access to its own properties and state as well as its children props in order to run our assertions. Enzyme offers two basic functions for component mounting: shallow and mount. The shallow function loads in memory only the root component whereas mount loads the full DOM tree. We’re going to combine Enzyme and Jest to mount a React.js component and run assertions over it. You can take a look at this repo, which has the basic configuration to run this example. The first step is to create a failing test which will try to render a React.js Component using the enzyme’s shallow function. ReferenceError: MyComponent is not defined. We then create the component providing the basic syntax to make the test pass. In the next step, we’ll make sure our component renders a predefined UI layout using toMatchSnapshotfunction from Jest. After calling this method, Jest automatically creates a snapshot file called [testFileName].snap, which is added the __snapshots__ folder. This file represents the UI layout we are expecting from our component rendering. However, given that we are trying to do pure TDD, we should create this file first and then call the toMatchSnapshot function to make the test fail. This may sound a little confusing, given that we don’t know which format Jest uses to represent this layout. You may be tempted to execute the toMatchSnapshot function first and see the result in the snapshot file, and that’s a valid option. However, if we truly want to use pure TDD, we need to learn how snapshot files are structured. We should specify this in the exports section: Component A should do something 1. You can read more about snapshot testing here. So, we first create the MyComponent.test.js.snap file. Then, we create the unit test that will check that the snapshot matches the component child elements. We can consider components.getElements as the result of the render method. We pass these elements to the expect method in order to run the verification against the snapshot file. Jest is telling us that the result from component.getElements does not match the snapshot. So, we make this test pass by adding the input element in MyComponent. The next step is to add functionality to input by executing a function when its value changes. We do this by specifying a function in the onChange prop. We first need to change the snapshot to make the test fail. A drawback of modifying the snapshot first is that the order of the props (or attributes) is important. Jest will alphabetically sort the props received in the expect function before verifying it against the snapshot. So, we should specify them in that order. To make this test pass, we can simply provide an empty function to onChange. Then, we make sure that the component’s state changes after the onChange event is dispatched. To do this, we create a new unit test which is going to call the onChange function in the input by passing an event in order to mimic a real event in the UI. Then, we verify that the component state contains a key named input. We now get the following error. This indicates that the component doesn’t have a property in the state called input. We make the test pass by setting this entry in the component’s state. Then, we need to make sure a value is set in the new state entry. We will get this value from the event. So, let’s create a test that makes sure the state contains this value. Not surprisingly, we get the following error. Expected value to equal: "myValue"
We finally make this test pass by getting the value from the event and setting it as the input value. After making sure all tests pass, we can refactor our code. We can extract the function passed in the onChange prop to a new function called updateState. We now have a simple React.js component created using TDD. In this example, we tried to use pure TDD by following every step writing the least code possible to fail and pass tests. Some of the steps may seem unnecessary and we may be tempted to skip them. However, whenever we skip any step, we’ll end up using a less pure version of TDD. Using a less strict TDD process is also valid and may work just fine. My recommendation for you is to avoid skipping any steps and don’t feel bad if you find it difficult. TDD is a technique not easy to master, but it is definitely worth doing. 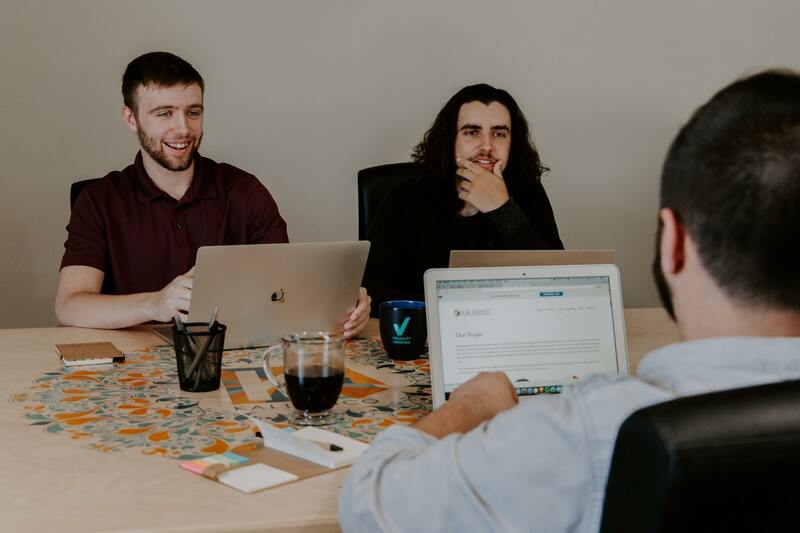 If you’re interested in learning more about TDD and the related behavior-driven development (BDD), read Your Boss Won’t Appreciate TDD by fellow Toptaler Ryan Wilcox.